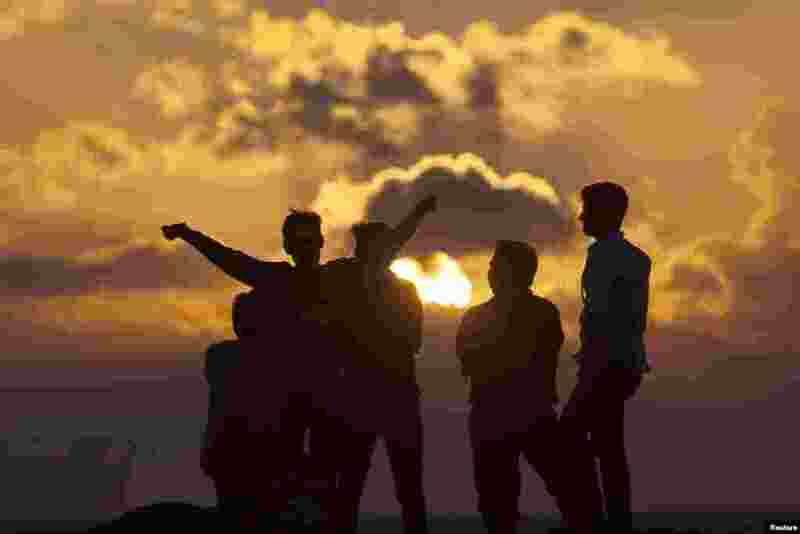 ١ People watch the sun rise on New Year's Day in "Gaviota Azul" beach in Cancun, Mexico. 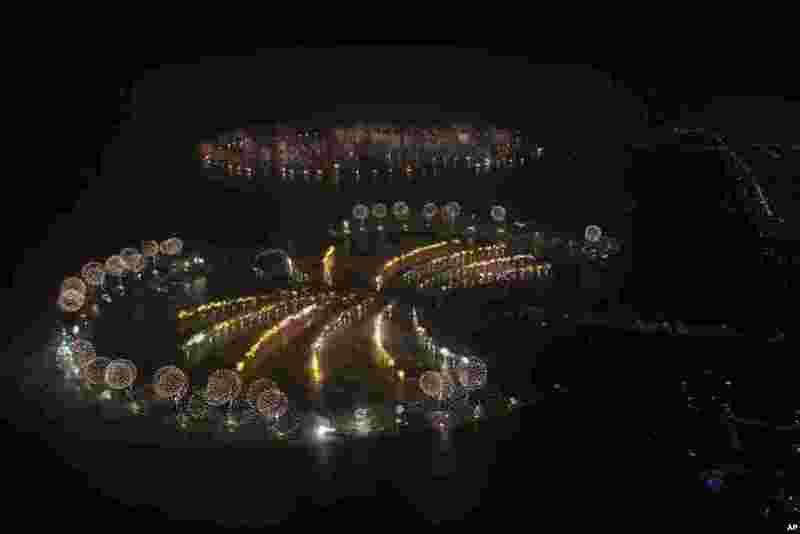 ٢ In this photo provided by Dubai World Record 2014, fireworks explode over Palm Jumeirah Island, front, and World Islands, rear, to celebrate the New Year as the city attempts to breaks the Guinness World Record for the "Largest Firework Display." ٣ A couple dances in the "Golden Hall" as Israeli Argentine-born conductor Daniel Barenboim conducts the Vienna Philharmonic Orchestra during the New Year's Concert in Vienna. 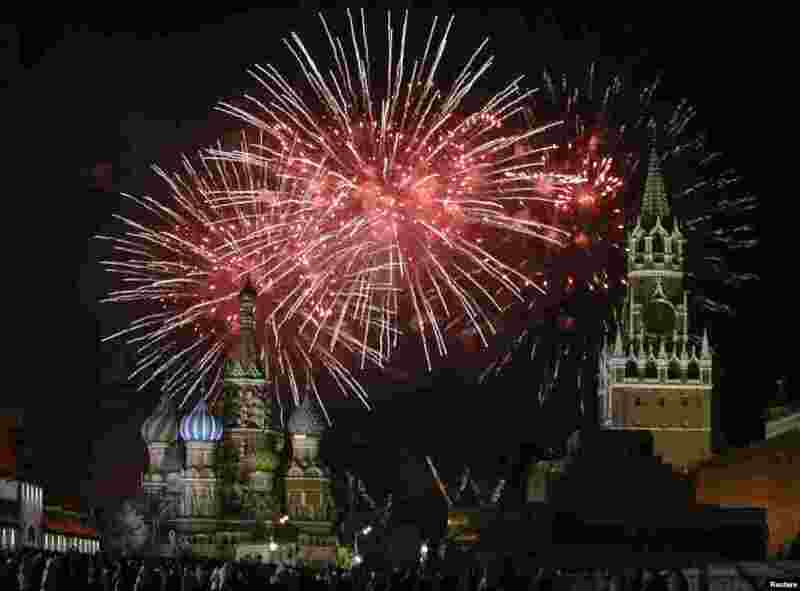 ٤ Fireworks explode in the sky during New Year celebrations in Moscow's Red Square, Russia.